Beautiful was written by Linda Perry and originally recorded by Christina Aguilera in 2001 with the single release on Nov 16, 2002 from the album 'Stripped'. 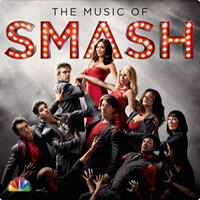 This version is by Katharine McPhee from the album The Music of Smash. That's the way it is? PS. The alternative Bm and Bm7 chords are both open chords that can be played if you haven't learned barre chords yet. Bm7 (open) is played just like a B7 chord without the first finger. Level Of Ease: Fairly easy in D Major - you will need to know a few barre chords, but they are fairly easy to play. This song is in the key of E♭major, which makes it a little hard for beginners to play, so we have placed a capo on the first fret, and play in the key of D major... much easier. To the ear, it is still in the key of E ♭ major. We have kept the arrangement as simple as possible, so that beginners can play along. If you choose to play in the original key without a capo, it becomes a little harder as most of the chords will be barre chords. It sounds better with a capo as the chords sound crisp and clean, as opposed to some barre chords that can sound slightly muffled if not played well, e.g., E♭, E♭7. The capo is only required if playing with the video. You can play around a little with the D & D7 chord, playing a Dsus4 and D7sus4 on the last beat of their respective bars... adds color. Simply add your little finger to the 1st string, 3rd fret. Instead of |D / / / | you could play |D / / Dsus4|. The same goes with D7 (x00213). You don't have to play the Bm7... added it for a little interest. For Bm, simply use your first finger on the 1st string 2nd fret as the diagram shows, but make sure you don't play strings 5 & 6. For Gm, you will have to try a mini barre where your first finger will have to cover the first 3 strings on the 3rd fret, and don't play string 6 (bottom E)... if you do manage to play the mini barre successfully, you will have no problems playing a full barre. A full transposition for this song: You will find it much easier to play with a capo... the choice is yours. For all other transpositions, use the Free Music Service above. Katharine McPhee: Born Katharine Hope McPhee on March 25, 1984 in Los Angeles, California, U.S. She is an actress, singer songwriter well known for her lead role in the NBC TV series, Smash , and more recently the CBS series, Scorpion . She has been performing since 2005 and her albums include: Katharine McPhee (2007), Unbroken (2010), Christmas Is the Time to Say I Love You (2010), and Hysteria (2015). LINDA PERRY chords and lyrics are property and copyright of their owners. "Beautiful" chords and lyrics are provided for educational purposes and personal use only.